Don't worry, how could I forget that it's Cazekiel-Day again. 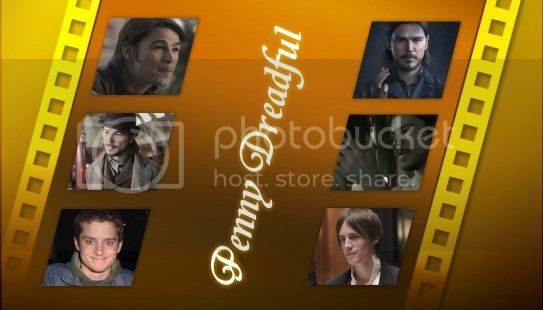 Here we go, the last chapter of 'Penny dreadful' ... I hope you will like the ending, though ... but I don't want to tell too much ;) Make sure, that you haven't missed a chapter and enjoy this one. Zeke followed him into the kitchen where Casey was busy with making coffee. He needed a moment just for himself or he would freak out, the last he wanted. When Zeke touched his shoulder he almost jumped back. “It's okay,” Casey said with a slightly shaking voice. And he pushed a coffee over to him. Zeke stared at the mug, finally shook his head and smirked. “Maybe because I'm still a maroon who's not used to it to talk about his feelings? Back at Highschool I was so busy to proof my coolness to just everyone. I did a lot of stupid things and I didn't care if I did hurt others with my behavior. For a moment Casey had the feeling that the world stopped turning around. He had been prepared for the goodbye, that Zeke had decided not to see him again. And now this. Zeke wanted … what, actually? “Would you do that,” he asked, his voice gentle. Casey clasped his mug, it was hard to keep a level head. No question: he wanted to be together with Zeke. Since he had noticed that he felt more for him than just friendship he had wondered how it would be. And the reality was so much better. But … He looked around in the apartment, his apartment. His parents nearby, not a week where he didn't go to visit them. The Herrington Post, more then just a job. Only some time ago he had refused to give up this job for the guy he was living together with. Was he willing to give up his life … for a future together with Zeke? A hand touched his arm softly and tore him out of his thoughts. “New York is a thrilling place,” Zeke said. “I know, you would love it. For a while, a long weekend, vacation maybe. Living there would make you unhappy, though. You're are so not a big city kid. Casey smiled. Zeke had always known to read his mind. “And what then,” he asked. Zeke noticed Casey's eyes flaring wide. He pulled Casey into his arms and kissed him gently. Casey chuckled when the memories hit him. Their last summer together. The Mall. He had loved to go there, watching the crowd going mad, taking pics, exploring the comic- and the record-shop. Zeke had always teased him because of that but never complained. Annie's ice cream. How many stops they had made at her little parlor. Annie was a middle aged woman with red dyed hair, a bit chatty but with a big heart. More then one of the students who used to hang around at her place disburdened the heart to her and she was always willing to help. Zeke rolled his eyes but laughed anyway. He still hold him in his arms and slowly Casey started to believe that all this was real, that Zeke was thinking about it to come back to Herrington, that he wanted a life together with him. „But you know what's the best of coming home after some long weeks of shooting,“ Zeke asked.